A fireplace insert goes into an existing fireplace. A stainless steel liner is than run all the way down to it from the top of the chimney, which is topped with a cap. Finally, a skirt covers the fireplace hole neatly trimming out the stove against the brick. 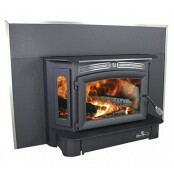 We have several brands available that make fireplace inserts. 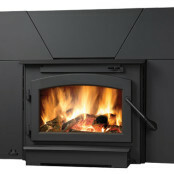 Osburn Wood Insert With its 2.4 cubic foot firebox, the Osburn 2000 insert offers an alternative to the people who love its freestanding counterpart. The two models share the same high quality combustion properties and many of the same features. This appliance comes with a standard high-power, heat-activated 120 CFM fan strategically positioned to redistribute the heat from the firebox into the room. 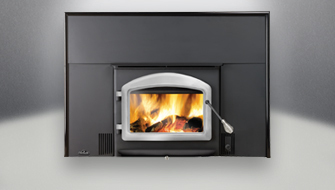 The 2000 model is designed to receive an optional faceplate that can cover a masonry hearth up to 32 inches (81 cm) high and 50 inches (127 cm) wide. The door overlay is available in black, golden fire brown, gold plated or brushed nickel plated finishes. The faceplate trims are available in black, brassy gold, and nickel. Napoleon Oakdale 1101 The Napoleon Oakdale™ 1101 wood insert won a prestigious industry award for its unique design, which allows for flush mount or hearth mount installation in either a masonry or factory built fireplace. Featuring an elegantly designed full view single door, standard WHISPER QUIET™ heat circulating blower & thermostatic sensor, this innovative design transforms small amounts of wood into large amounts of cozy heat. 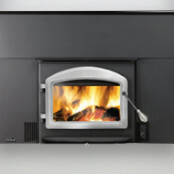 Breckwell SW9401 The SW940 insert from Breckwell will change your fireplace and home decor. The ultimate in design, quality, and engineering, this bay-front unit is impressively fuel-efficient while the oversized glass door and arched side windows offer a comforting atmosphere with the visual warmth of a live flame. 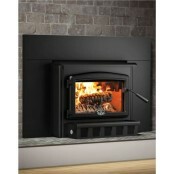 With a full fireplace surround and trim, the SW940 insert will be the perfect expression of style for your home. 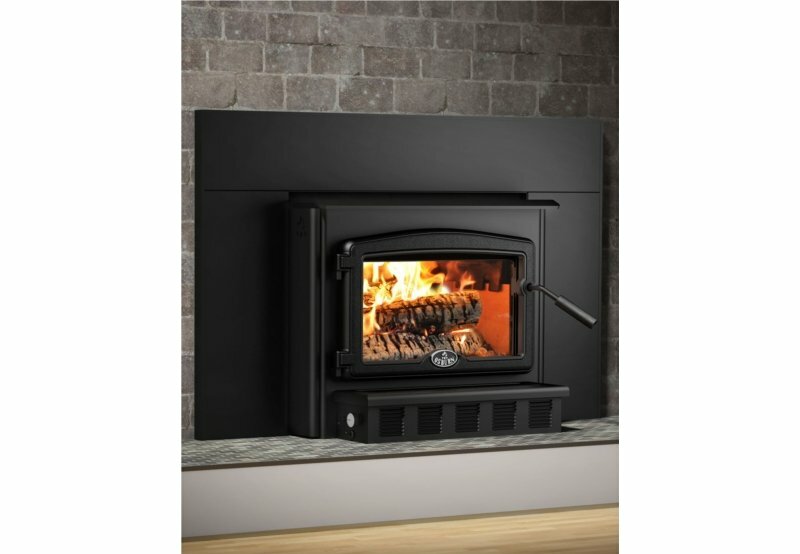 Timberwolf’s EP122 Transform your masonry fireplace into an efficient, clean burning and cost-effective heating source with Timberwolf’s EPI22 Wood Burning Insert. 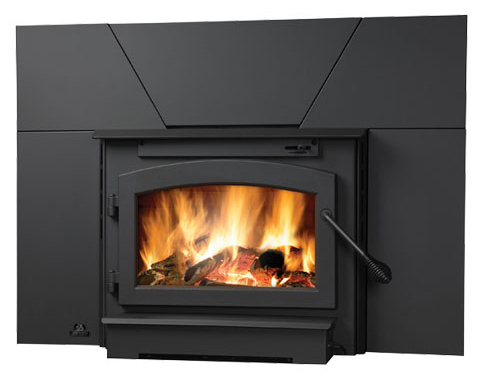 The large firebox design accommodates 18˝ logs and allows for a long eight hour burn time.